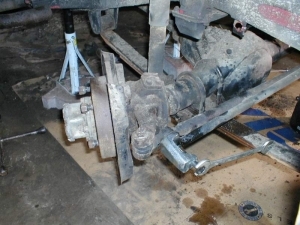 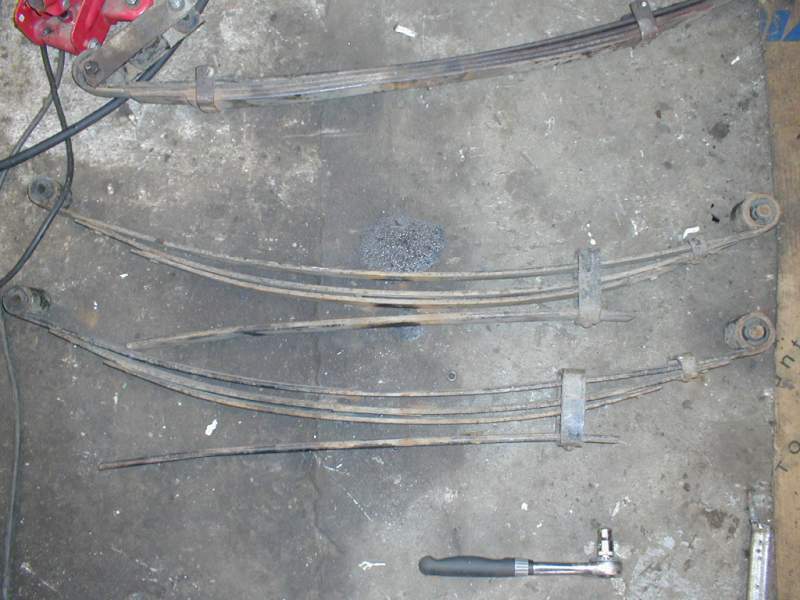 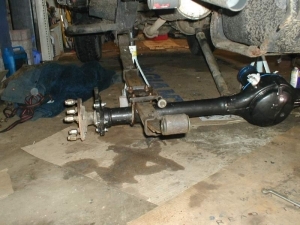 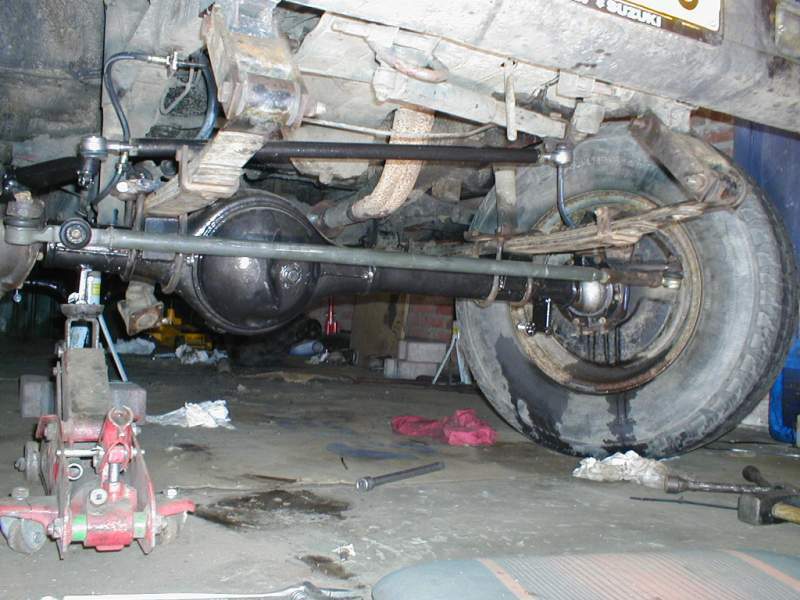 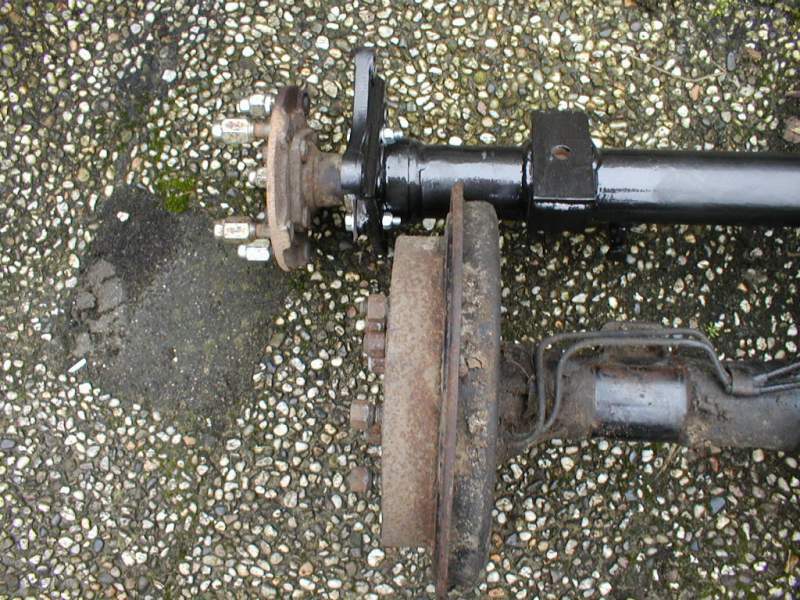 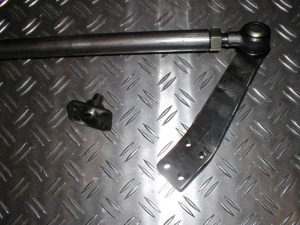 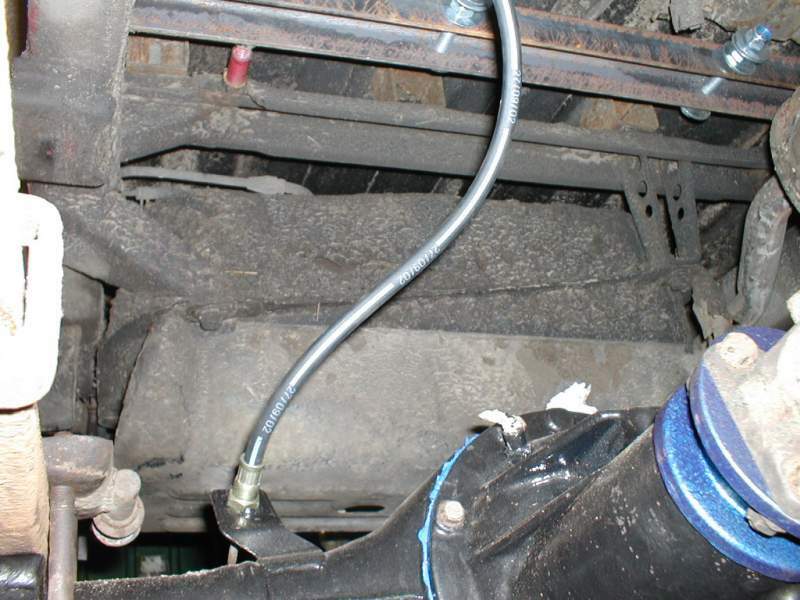 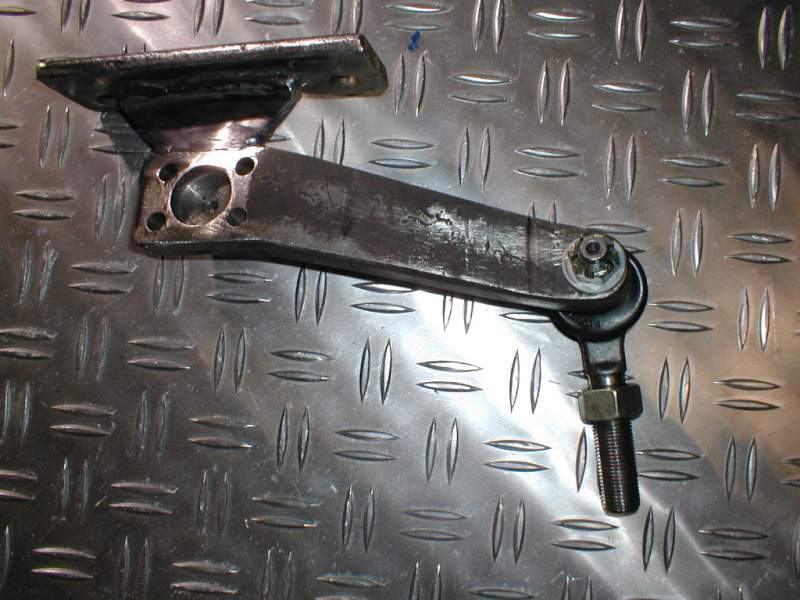 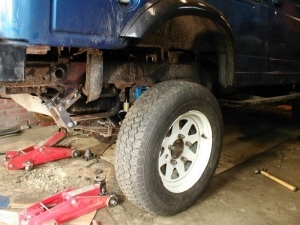 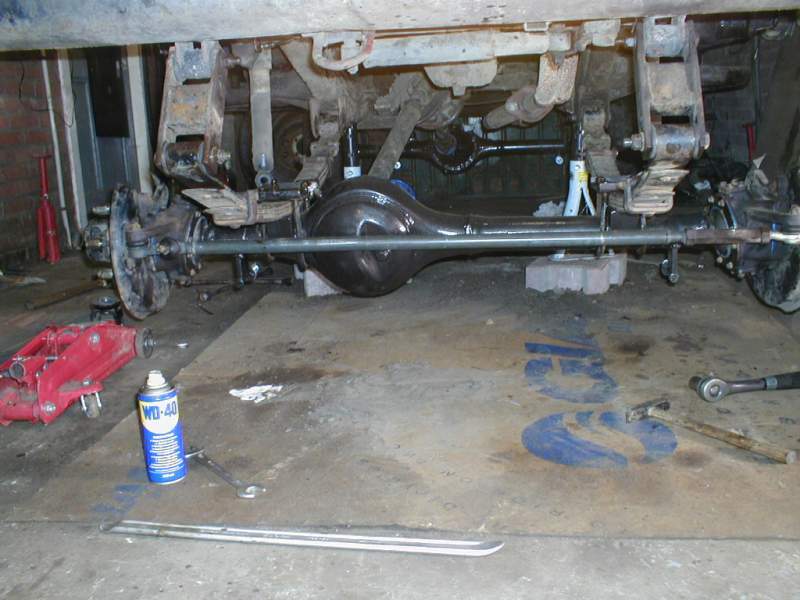 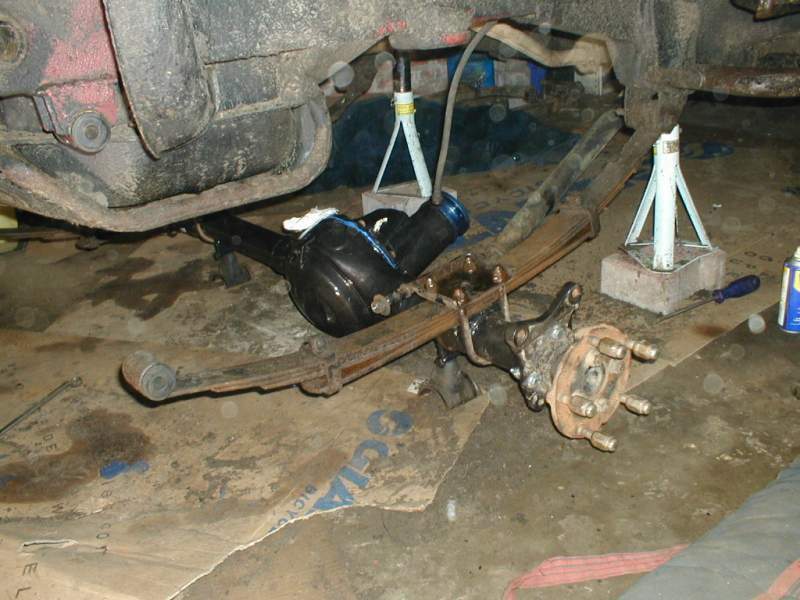 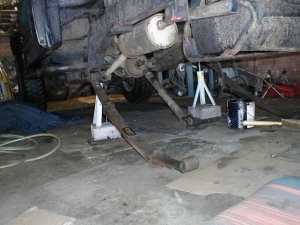 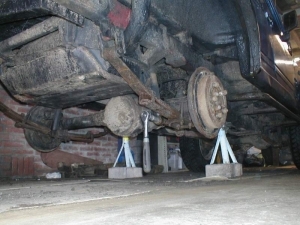 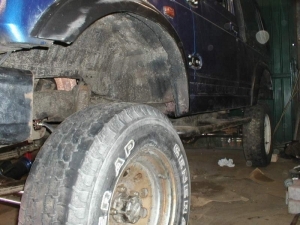 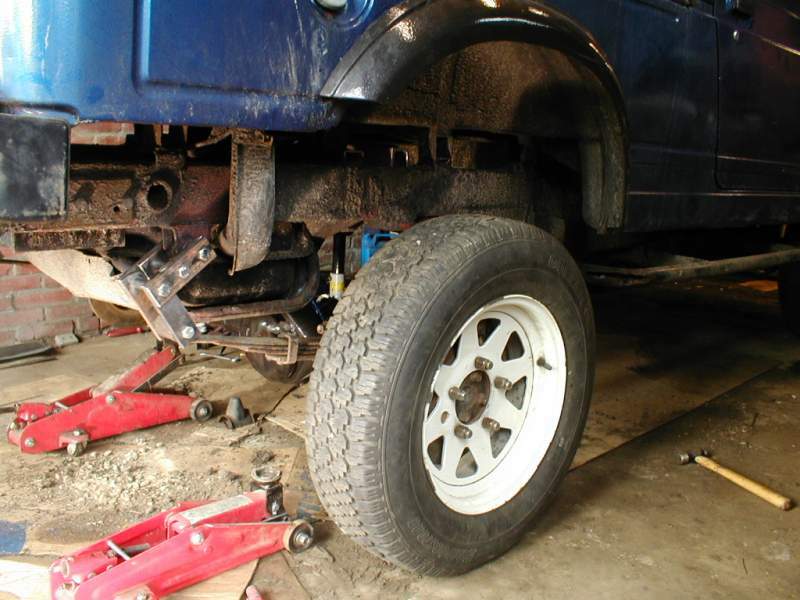 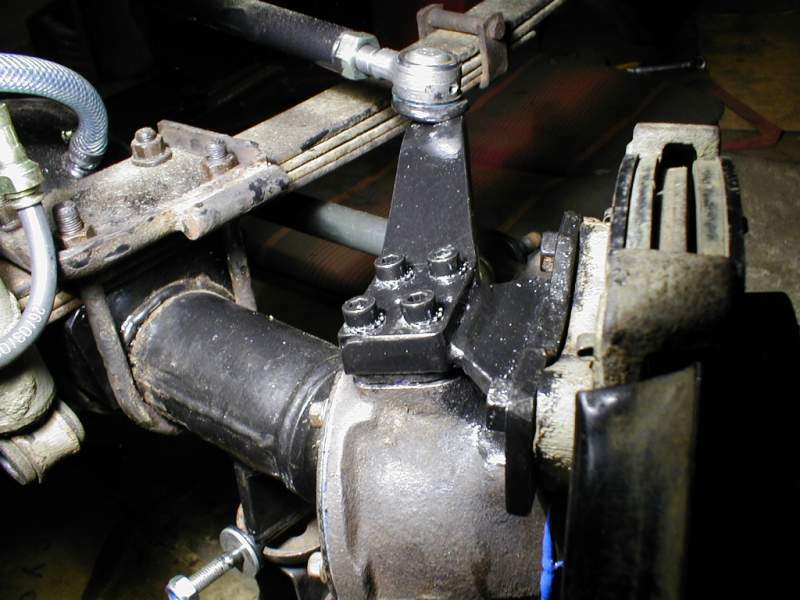 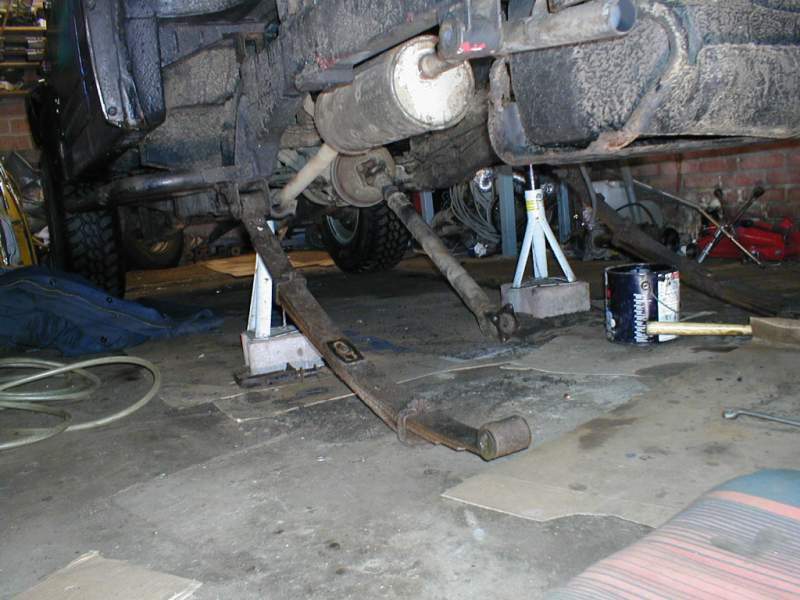 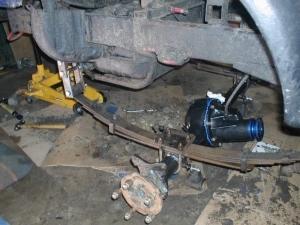 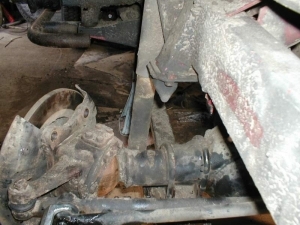 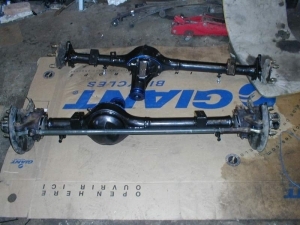 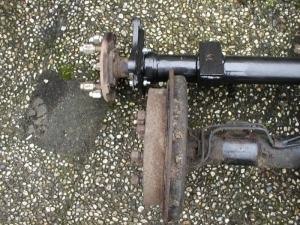 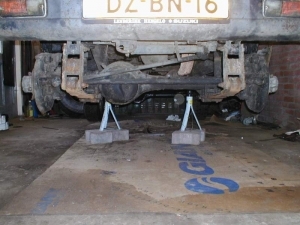 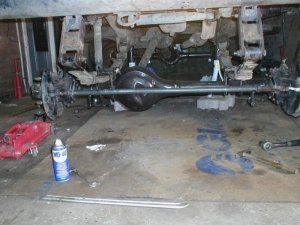 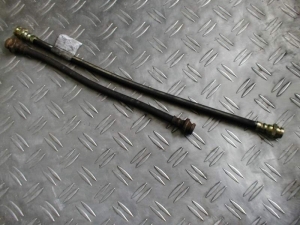 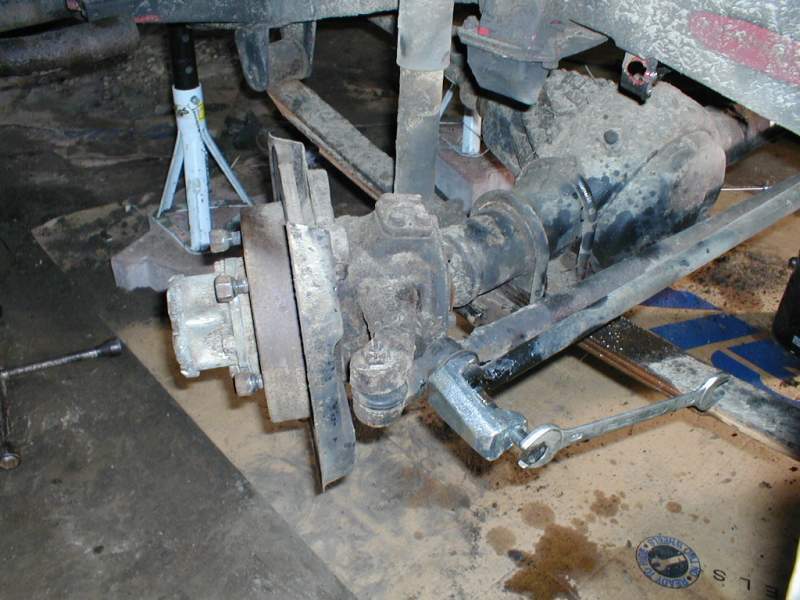 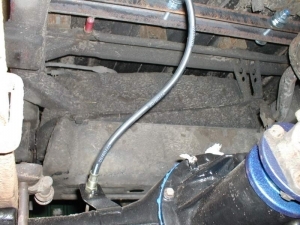 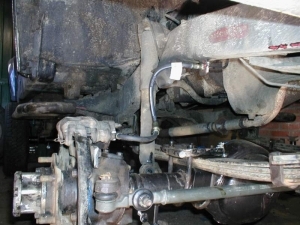 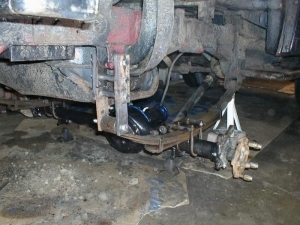 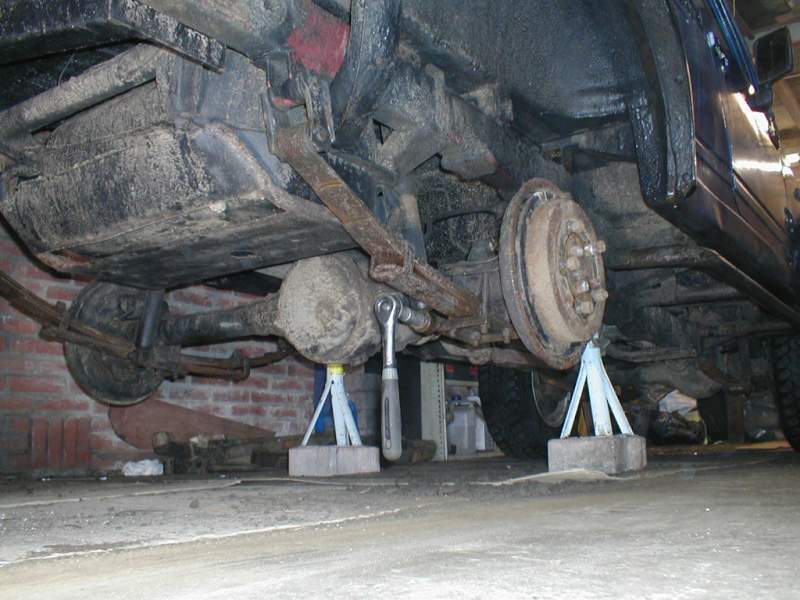 Jack up the vehicle and remove the wheels and driveshaft,then remove the shocks,remove the U-Bolts,remove the shackles and remove the axle. 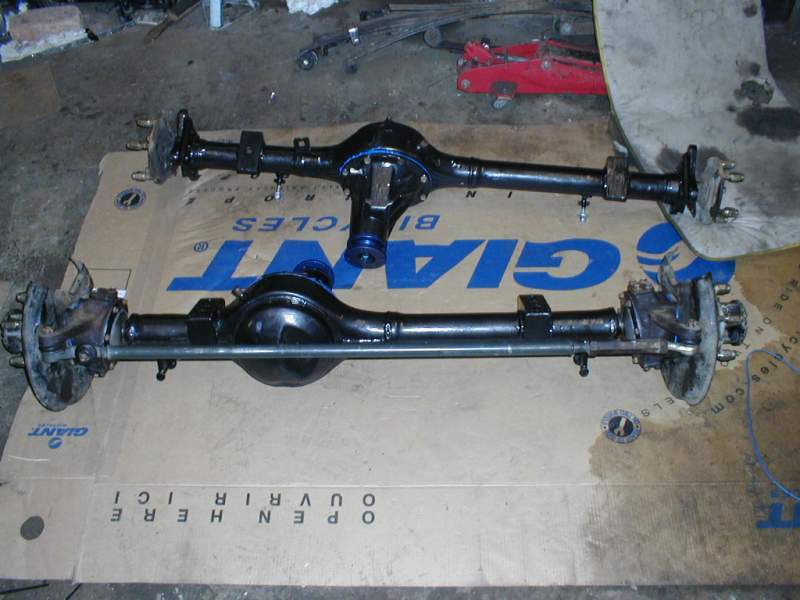 Rear spings are going the be installed at the front. I took the rear spingpack,remove the counterleaf and added the bottom leaf of a front springpack. Installed new longer brakeline in the rear. 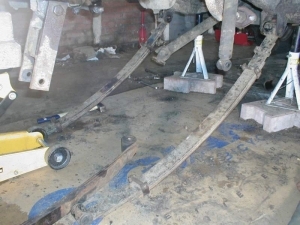 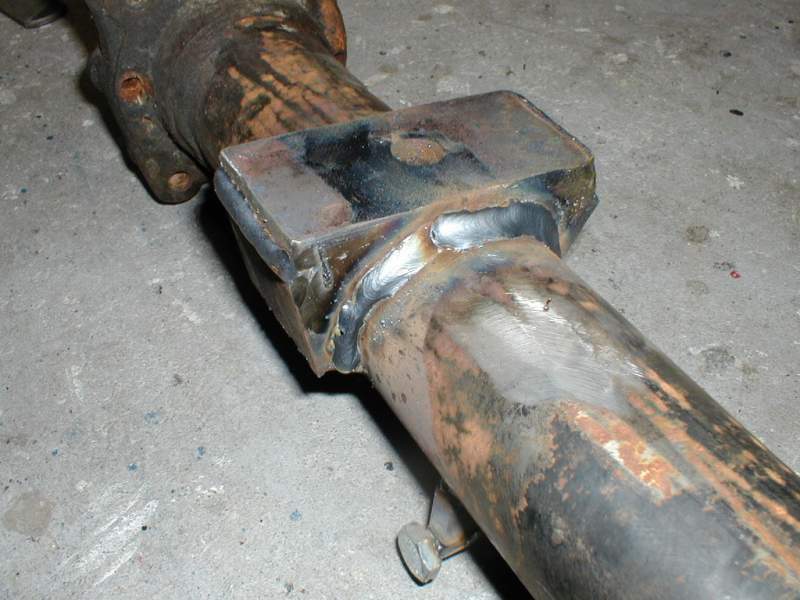 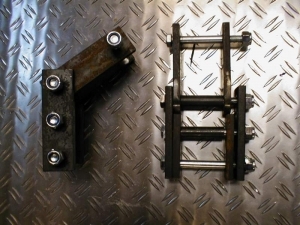 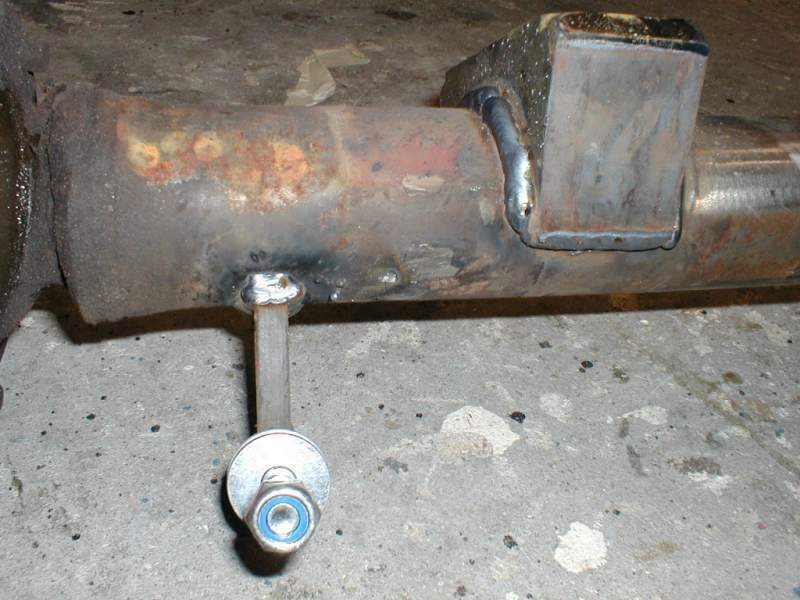 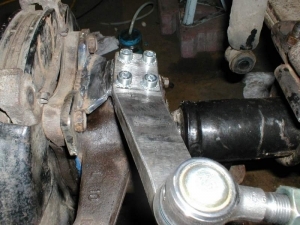 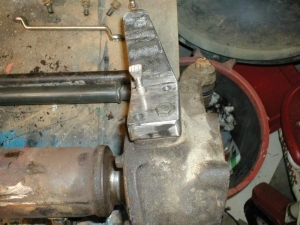 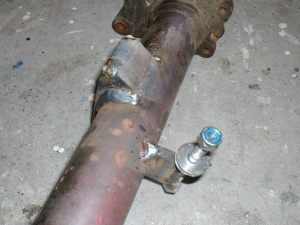 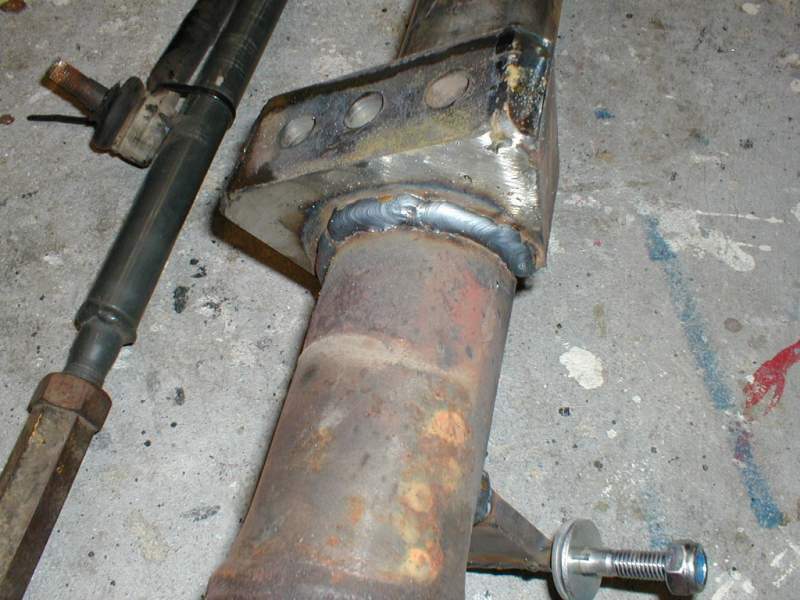 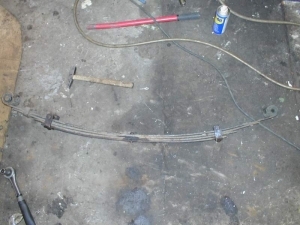 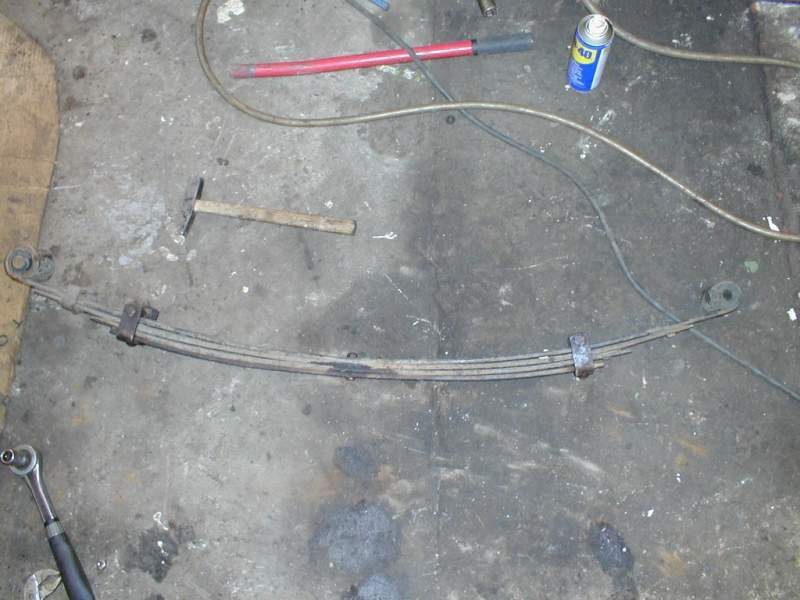 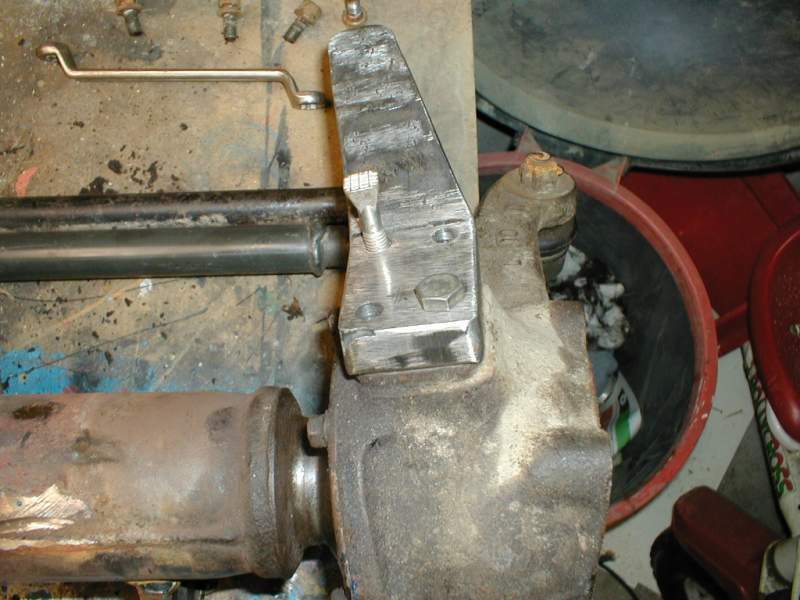 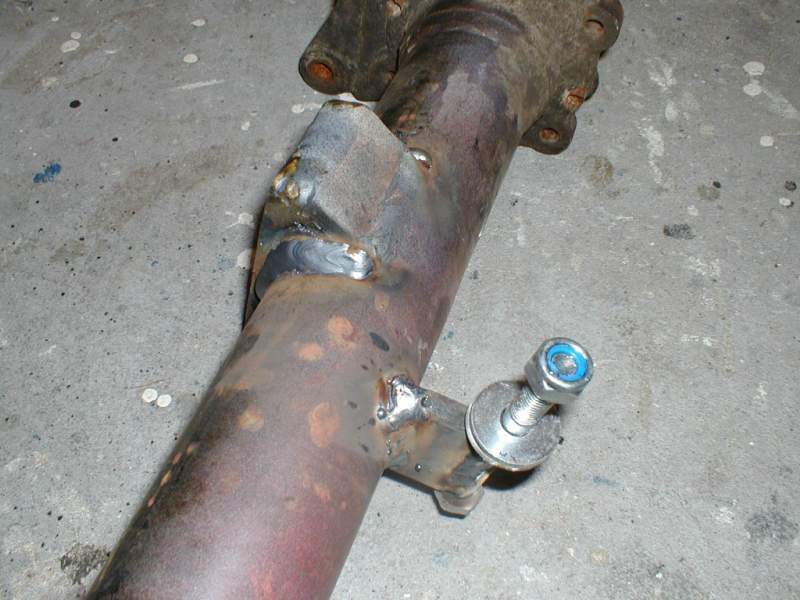 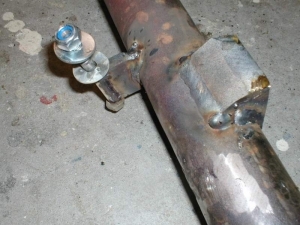 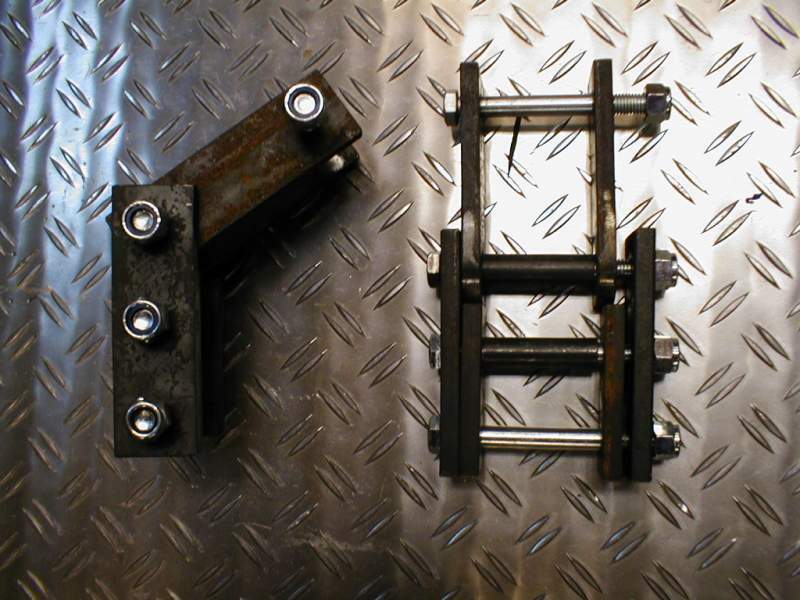 I welded and extra brace on the overhead steering since i didn't like all the forces on just 4 bolts of the knuckle gear.the brace held in place by the 2 M12 bolts which hold the brakepad holder. an other view, drag-link installed and some paint. 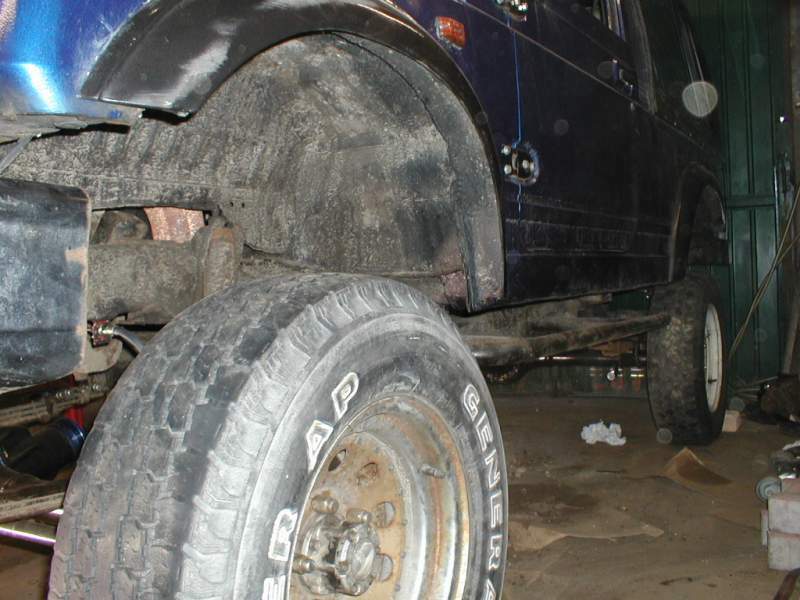 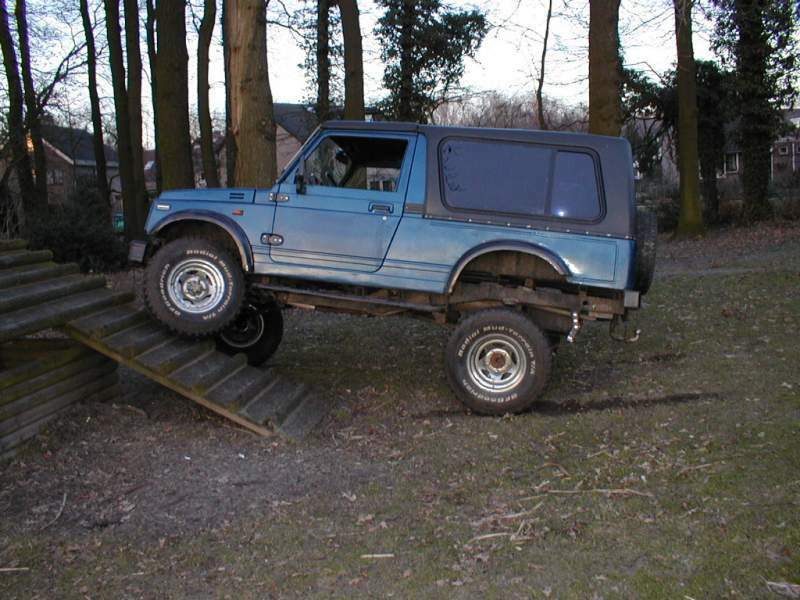 Installed the 31×10.50×15 BFGoodrich Mud-Terrain tyre's on the zuk and did some flex tests. 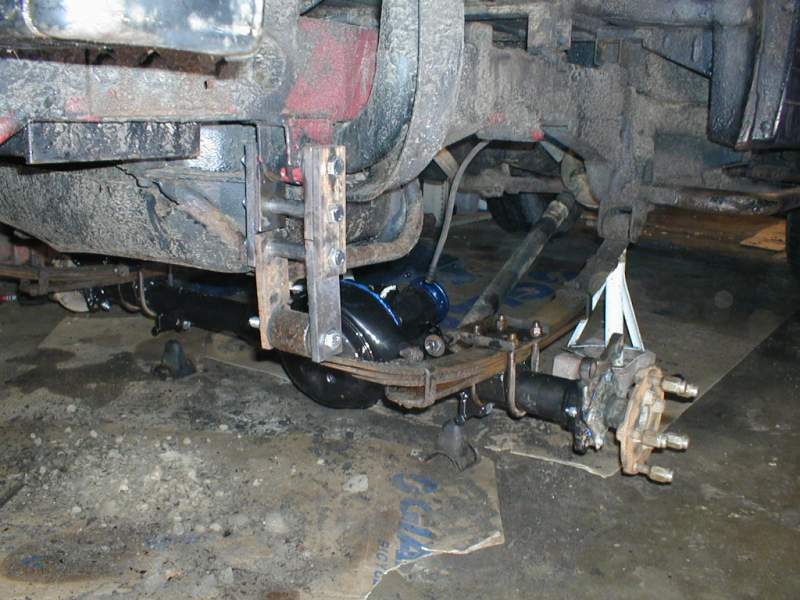 not bad for stock shocks. 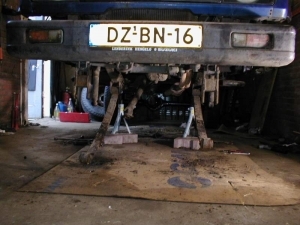 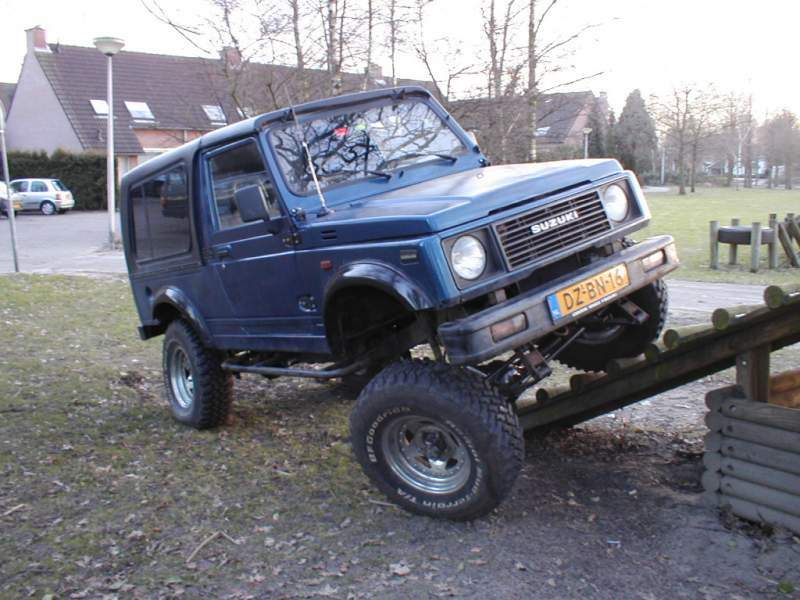 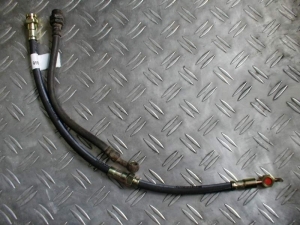 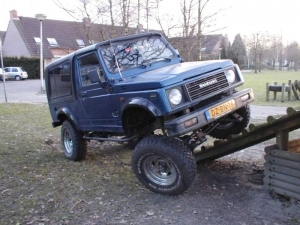 Looks like this is a good option for lifting the vehicle.but i have to warn you,use an overheadsteering system from day 1. a Z-Link is going to let you down.